Barcelona have already wrapped up the La Liga title with a 4-2 win over Deportivo last weekend. They have won 26 of their last 28 home matches and can now become the first team in La Liga history to go unbeaten throughout the entire season. Plus, the Blaugrana have failed to score only once in their last 29 home league games. They have recently beaten Valencia (2-1) and Sevilla (0-5 in Copa del Rey Final) and held Celta Vigo (2-2) to a draw with ten men. Ernesto Valverde has no injury concerns ahead of the Clasico and is expected to name his best starting XI. That would see Leo Messi and Luis Suarez spearheading the attack, supported by Philippe Coutinho and Andres Iniesta on the flanks. The likes of Sergi Busquets and Ivan Rakitic will anchor the midfield. Sergi Roberto should slot in at right-back, with the likes of Jordi Alba, Samuel Umtiti and Gerard Piquè completing the four man backline. Fresh from securing their third Champions League final spot in a row - and fourth in five seasons - Real Madrid enter the Clasico in good form as they are unbeaten in their last eight La Liga games. They have struggled for consistency and have failed to make an impact this campaign. Plus, their Champions League performance against Juventus and Bayern Munich were severley conditioned by referees' mistakes. The Blancos are undefeated in 23 of their last 25 away matches. Anyway, Zinedine Zidane's side suffered a 3-0 home defeat at the hands of their eternal rivals back in December. Dani Carvajal and Isco both missed Real Madrid's midweek Champions League semifinal and are major doubts here. Nacho should fill in at centre-back, with Raphael Varane struggling midweek due to injury. As a result, Lucas Vazquez could play once again as right back, with Marcelo retaining his berth on the other flank. No suprises are expected in midfield and up front. Luka Modric, Casemiro and Toni Kroos should start in the middle of the park, with Isco supporting Karim Benzema and Cristiano Ronaldo upfront. Gareth Bale and Marcos Asensio provide viable alternatives. Get 25/1 Barcelona or 40/1 Real Madrid to win with Betfair! New Customers can get Barcelona at an enhanced 25/1 or Real Madrid at an enhanced 40/1 to win. Max Stake £1. Winnings paid in free bets, valid for 7 days, only deposits with cards/Paypal count. Exchange and multiple bets excluded. T&C’s Apply. 18+|Gamble Aware. 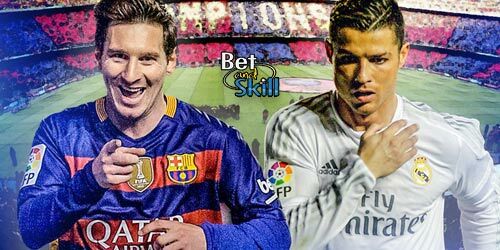 BetAndSkill team have compared more than 70 of betting sites and selected the highest odds on El Clasico match winner market. Wanna get bigger odds? Take a look at our enhanced odds and price boosts for today! La Liga is very hard to predict but our expert tipsters know how to make profit on the Spanish football! Find below our recommended bets on Barcelona v Real Madrid, selected after a careful analysis of all the key betting factors! 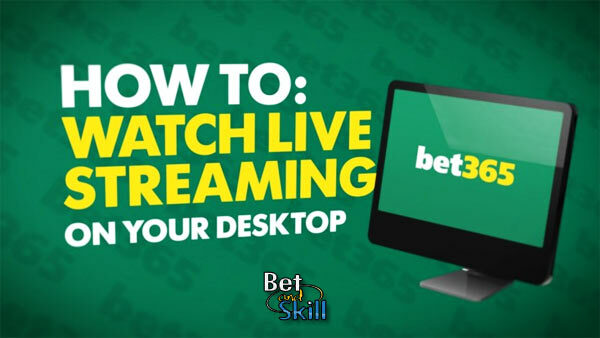 Join our betting community, copy our predictions and start bashing the online bookmakers! Would you like to receive more predictions on the best football events? Follow us on Twitter! Don't miss a free winning prediction anymore! "El Clasico Barcelona v Real Madrid predictions, betting tips, lineups and free bets (Liga - 6.5.2018)"